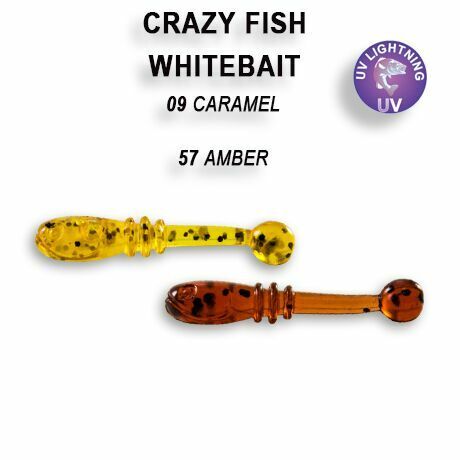 Crazy Fish Whitebait is a tiny 20mm lollipop lure, this small lure is designed for unique style of ultralight nano jigging and micro drop shotting rigs. Crazy Fish Whitebait can be rigged on a very small jig head or hook and used with light line and ultralight gear for best effect. This size of lure mimics micro fry or insect larvae, a food source for many different fish species. Each pack contains 20 lures per pack in 2 different colours (10pcs each colour), lures are scented and UV enhanced for added visibility and scented with Squid for added attraction.